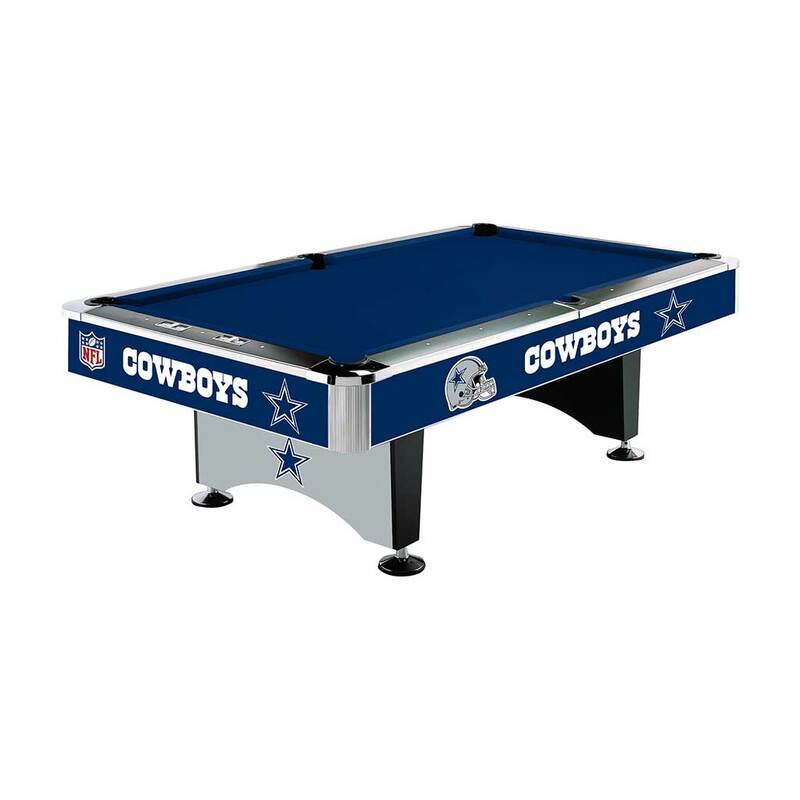 The Official Licensed NFL Team Pool Table is the real deal! 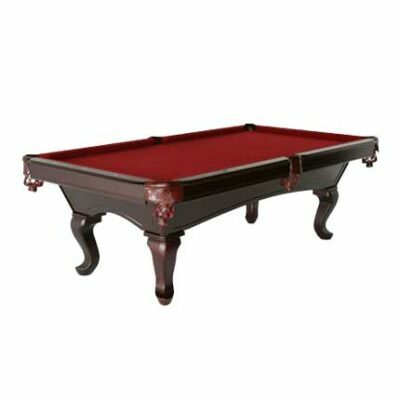 It is an 8-foot regulation sized, commercial quality billiard table with 1-inch, 3-piece slate bed. Team graphics are permanently applied using a heat bonding process on Lexan making it scratch resistant and clear. 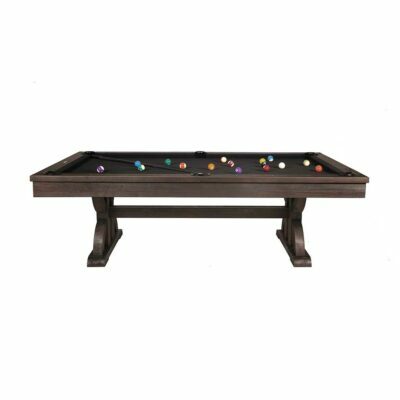 Other features include chrome corner caps and side miters, 6 1/2-inch rails with full profile K66 Master Speed cushion rubber for a true rebound, inlaid pearlized sites, and a 4-player in rail scorer. The pedestal base comes with chrome leg levelers that adjust to any floor. This great pool table is the ultimate addition to ANY fan cave. Team up the table with NFL Official Licensed Team Balls, Triangle, and Table Cover to provide the ultimate fan experience! 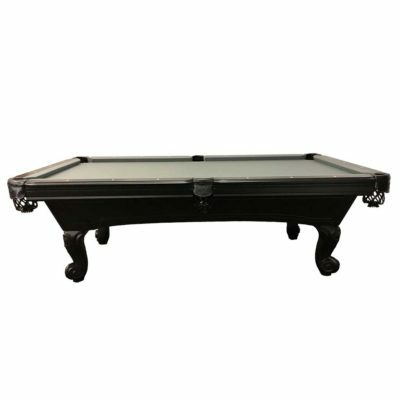 This pool table is on sale. Please message or call us for details. Outside dimensions: 58”x 102”; playfield: 44”W x 88”L.